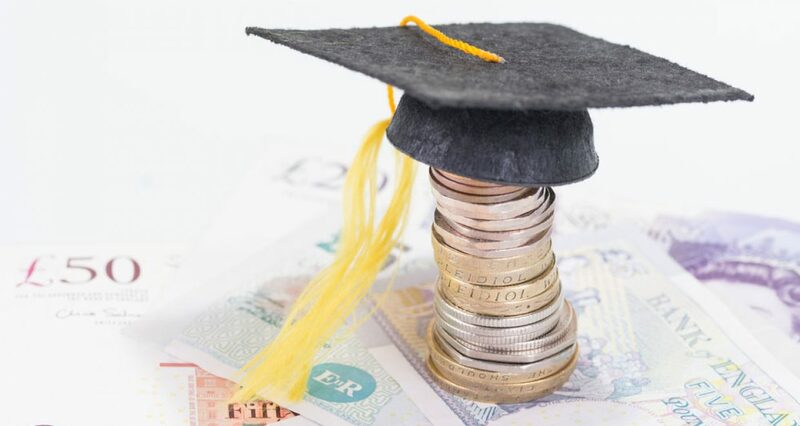 This post focuses upon a piece in the news cycle last week that ran with the headline ‘Student digs in Britain giving first-class returns’. The content of the piece concerned an increased influx of big business into the student accommodation market in the U.K., which has ultimately brought serious international players like Goldman Sachs and UBS directly into the realm of Higher Education. The focus of this post will be to detail this influx and to look at some of the possible connotations of this increase in profit-driven characters now associating themselves with an arena that is fundamentally based upon educational growth, rather than the growth of a profit margin. This week saw the massive Mipim Property conference take place in Cannes, France. The conference, which is held every year and draws developers from around the world, is also a forum at which government ministers attend to ‘promote’ their approach to developers in their given countries. This year was no different, and the U.K. Housing Minister, Gavin Barwell, was on hand to deliver Theresa May’s personal message to the patrons of the conference: ‘attracting investors to the whole of the U.K.’s real estate would be a key driver of the U.K. economy in the post-Brexit world’. Previously in Financial Regulation Matters, the focus was upon the predicament facing Theresa May regarding the pressure she is subjected to in terms of surviving the secession from the E.U. in comparison to the needs to look after the country’s long-term interests, and this ‘open for business’ mantra is, arguably, a clear indicator of where Theresa May has determined her efforts should be concentrated. Whilst it seems rational that a Prime Minister will want to develop as many trade and business links as possible in preparation for the secession, there is an overriding risk that the understanding of that weakened position exposes the country to the most venal in society, and it is upon that basis that this news of increased investment into student accommodation should be viewed. Last year alone, institutional investors, like wealth fund managers and pension funds, invested more than £4.3 billion buying over 50,000 student rooms in the U.K. Research suggests that the value of the contracts awarded to construction firms applying for the opportunity to satisfy this demand totalled more than the value of contracts awarded for care homes, housing association housing, local authority housing, and sheltered housing combined. UBS, the Swiss banking giant that was fined $1.5 billion in 2012 for fraud, and who are consistently fined almost every year for malpractice, recently paid £31 million to buy a 184-room hall from Imperial College London, whilst also purchasing property in Newcastle, Durham, and Belfast. Goldman Sachs, another banking giant who is consistently fined for its behaviour, holds a majority stake in a group which owns 23,000 student rooms, whilst a Canadian pension fund spent £1.1 billion buying Liberty Living, a company that runs more than 40 student properties with a grand total of 16,000 rooms within 17 cities across the U.K. However, the British market is drawing so much attention, the market is beginning to saturate – this has resulted in a concerted effort to apply the same financial interest to Continental Europe, with research suggesting there is up to €5 billion to be invested over the coming few years – although the mitigating factor in this lack of application is a ‘lack of supply’, which takes us onto a much more important issue. Whilst there will be those who champion this influx, like those in the recent news article who stated that it is the parents of students who are driving this supply, and that what students require in this generation are purpose-built, more homely examples of student accommodation, there is a much more worrying element at play. To begin with, the ever-increasing student population, which research suggests now stands at a record 2.28 million students studying within Higher Education institutions, are not only paying more in tuition fees than ever before – the increase to £9,000 a year (and rising) has created a surplus of nearly £2 billion across the sector – but are also being charged more in rent than ever before. Research suggests that there has been a 23% rise over the past five years in the average cost of student accommodation rent in purpose-built properties, which unsurprisingly led to student demonstrations outside the conference in London last year. Ultimately, there will be many who champion this influx in investment. The benefits of cleaner living, collegiate environments, and arguably safer environments which will appeal to the parents of students, are clear to see. However, we must take a much broader view of this situation. The commercialisation of education cannot be denied, and this is now being recognised by the most venal entities in the world. Institutions like UBS and Goldman Sachs exist only to make as much profit as humanly possible, irrespective of the unethical and anti-humanist effects of their actions – this mentality should not be allowed anywhere near education. Yet, it is. Not only is it being allowed near Higher Education, the bastion of societal development, but it is being actively encouraged by a Government that is seemingly hell-bent on internalising the pressures that are being associated with seceding from an economic bloc. However, there is no evidence that has been conclusively advanced that this ethical abandon is even required because of the impending secession, which makes the actions of the Government even more distasteful. What is required now is an extremely strong-minded and forward-thinking regulator, or Parliamentary Committee, to examine this influx and ask whether it should be curtailed. The associated risks are clear: the inclusion of these venal monsters, who impart pressure on everyone they are involved with (as was clearly demonstrated by their actions in creating the Financial Crisis), places Universities in grave danger – the pressure to recruit more and more students, irrespective of whether that particular route is correct for their, and the institution’s development, is a natural knock-on effect of the influx of these venal institutions. It is vital that someone who has the power to intervene observes this trend and seeks to examine whether this pressure is, or is likely to be exerted – the development of future generations depends upon it. Labels: Brexit, Goldman Sachs, Institutional Investors, Mipim, Student Accommodation, UBS, Universities.